Combine cococnut milk, lime zest, lime juice, sugar, ginger, sesame oil, chile sauce and salt in a jar and shake vigorously to combine. Place the spinach and carrot in a large bowl. Add two-thirds of the dressing and toss. 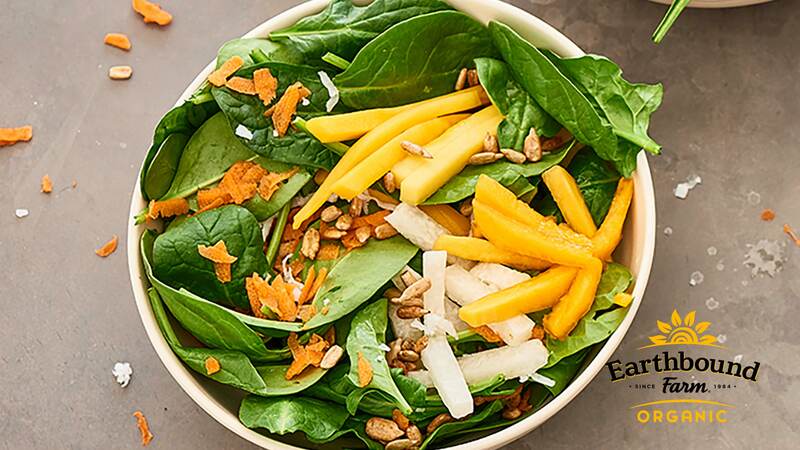 Divide the dressed mixture between 4 plates and garnish each serving with some of the mango, papaya, jicama, sunflower seeds and coconut. Drizzle the remaining dressing atop each salad and serve immediately.